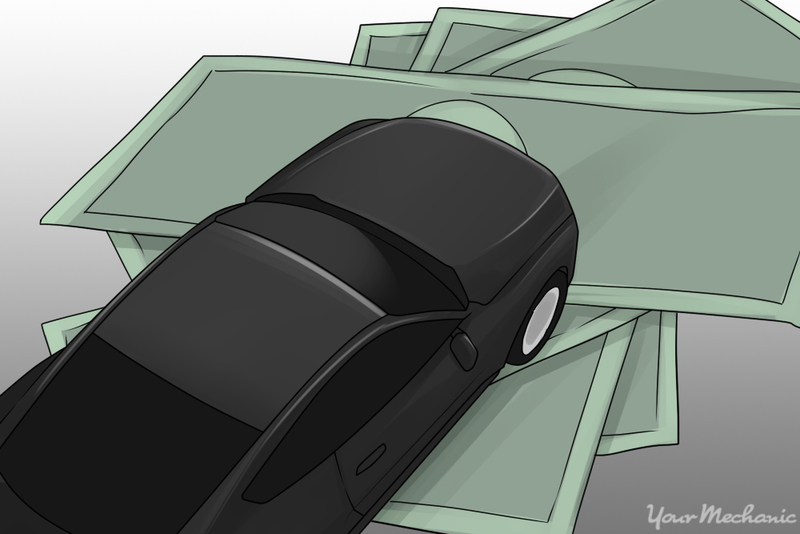 As soon as you buy a new car, its value starts to decrease. The ultimate value of your car is a combination of its age, mileage, and overall condition of your vehicle. Luckily, you have control over two of those factors: mileage and condition. By maintaining and cleaning your vehicle on a regular basis, as well as following good driving habits, you can increase the value of your car when it comes time to sell it. One of the best ways to protect your vehicle is to keep it clean. Wash the exterior and clean the interior at least once a week. In addition, wax your car at least every three months. This helps protect the paint on the outside and keeps the carpeting and upholstery looking new within. Step 1: Clean the car interior. Start by cleaning the interior of the vehicle. Clean the interior glass surfaces. Spray the cloth you are using to clean with the cleaning solution as opposed to spraying surfaces directly with the solution. Wipe down all hard surfaces, including the console, dashboard, and the doors, using a cleaner. Once this dries, then follow up with a conditioner, preferably one with UV-light protection. Remove any floor mats and shake them out. You should also vacuum the mats before placing them back into your vehicle. Shampoo and vacuum the carpeting and upholstery, using chemicals formulated for the materials you are cleaning. Use a soft-bristled brush to loosen any stains or stuck-on debris. Tip: Avoid eating, drinking, and smoking in your vehicle. This makes it easier to keep clean and helps prevent stain-causing spills. In addition, the smell of cigarette smoke is difficult to remove from a car once it has set in and greatly reduces the value of a vehicle. Step 2: Clean the car exterior. Next, move to the outside of the vehicle. Start cleaning by spraying down the outside of the vehicle with water to help loosen dirt and debris. Using an exterior car shampoo, wash the outside of the vehicle to remove any remaining dirt and debris. For hard-to-remove dirt, use a soft-bristled brush to scrub the area clean. Rinse the outside of the vehicle until all of the soap is gone and dry using microfiber towels to prevent the formation of water spots. Finish by cleaning the exterior windows of the car using glass cleaner. Step 3: Apply wax. After cleaning and drying your vehicle's exterior, it is time to apply a coat of wax. Using the applicator that came with it, apply a little bit of wax, working in a small area at a time. In the absence of an applicator, you can use a damp sponge instead. Use a circling, overlapping motion to apply the wax in a small area, waxing a section at a time. Alternatively, you can use an orbital buffer set on low to apply the wax. Once applied, allow the wax to sit for a few moments. You can find the exact duration listed on the wax instructions. 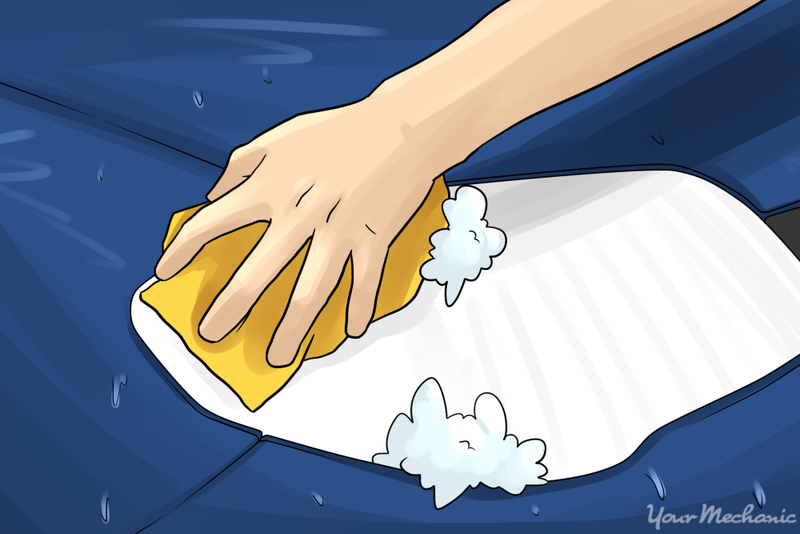 Using a microfiber cloth, wipe away the wax from the surface of the car. Continue to polish until the car exterior is at a high shine. Tip: Either apply wax on a cool day or find a shady spot. This prevents the wax from drying too quickly. By maintaining your vehicle on a regular schedule, you can help maintain the value of your car. Regularly change fluids and get tuneups on your vehicle. Also make sure to get brakes and electrical work are repaired quickly to ensure other parts are not damaged as well. Step 1: Fluid changes and tune-ups. Get oil changes and tune-ups performed at regular intervals. Following the manufacturer's recommendations, have your fluids changed on a regular maintenance schedule. This helps prevent breakdown by making sure your vehicle's fluids, such as engine oil, are kept clean. Tune-ups are also important, because they help keep your vehicle's timing where it needs to be. Step 2: Perform other maintenance. Other systems, such as the brakes and electrical systems, can deteriorate over time as well. Make sure to have your brakes checked regularly and replaced when needed. When it comes to your vehicle's electrical systems, especially the ignition system, catching a problem early is vital. And remember that if you you let a low battery go unrepaired, it can eventually damage the alternator. Step 3: Keep records. Make sure to keep all maintenance records to show that you have taken care of your vehicle. You can keep all the maintenance and repair records in a file folder within the vehicle so you have easy access to them. Tip: In addition to keeping all receipts, you can also track any maintenance done to your vehicle via a maintenance log. The log lists such important information as the date the work was done, the mileage, what was performed, how much it cost, and who performed the work. In addition to keeping your vehicle clean and maintaining it properly, you also need to drive it in such a way as to prevent unnecessary wear and tear on your car. This includes how you drive it, how many miles you put on it, and where you drive it on a daily basis, all of which has an effect on the general condition of your vehicle. Step 1: Consider your mileage. Try not to drive your vehicle unnecessarily as this drives up the mileage and affects the overall value of your car. One option is to use a rental car for longer trips or vacations. Another option is to carpool with coworkers or friends. This spreads out the miles driven among a few vehicles rather than placing them on just one. Step 2: Consider your driving location. Where you drive your vehicle is just as important as how you drive it. Avoid unnecessary dings and dents by avoiding areas such as construction zones, which tend to have loose gravel and other material that can easily damage the exterior of a vehicle. Step 3: Consider your driving style. Hard stops and starts can take a toll on a vehicle's engine, so avoid extreme driving. Likewise, driving too fast and towing too much weight can wear a vehicle out, especially the engine. Another important consideration includes avoiding driving on rough roads. If you have a choice between a road with a smooth surface as opposed to one riddled with bumps and potholes, opt for the smoother road, even if the drive is longer. Maintaining, cleaning, and the way you drive your vehicle can only go so far. How you protect it while it is not being driven is important as well. A car cover, carport, or garage can make all the difference between a well-maintained vehicle and one that suffers damage from inclement weather, including from sun, snow, rain, etc.. Step 1: Use a car cover. A car cover can help protect your vehicle's exterior from inclement weather, dust, pollen, and the harsh rays of the sun. 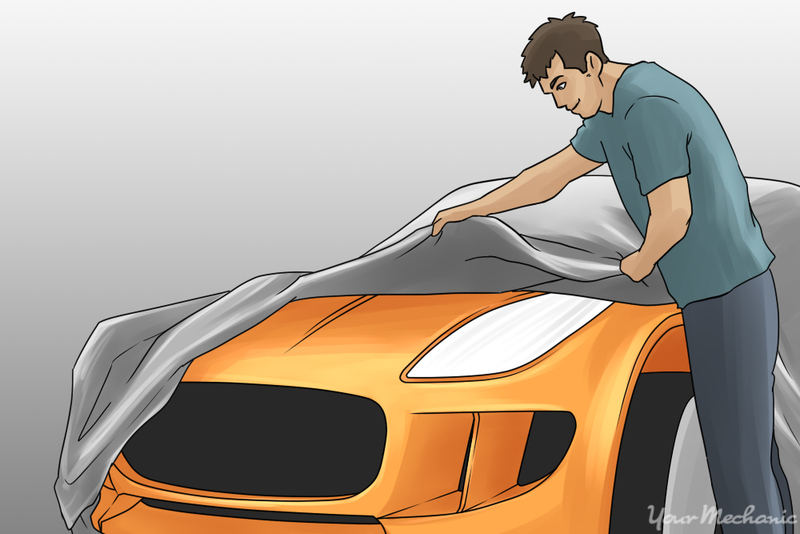 Your best option is to use a car cover especially designed for your vehicle. They provide a snug fit and are designed to fit the contours of your vehicle. In a pinch you can use a tarp. Just make sure it is big enough for your vehicle. Step 2: Examine storage options. Storage options include carports and garages. A garage is the best option when it comes to vehicle storage. The enclosed space protects a vehicle's exterior from any inclement weather, in addition to extreme heat and cold. A carport protects your vehicle from bad weather conditions, such as hail, but leaves it exposed during times of extreme heat or cold. Increasing the resale value of your vehicle is as simple as cleaning it on a regular basis, maintaining it on a regular schedule, not overdriving it, and storing it away from harsh weather. To help maintain your vehicle's important systems, have one of our expert mechanics perform a 75-point safety inspection on a regular basis to ensure that your vehicle stays in top running condition.